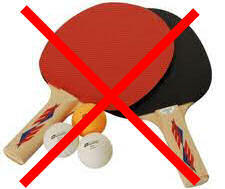 This section contains article, reviews, pictures and information on a variety of table tennis bats and equipment. Many of us that have a keen interest in equipment, also know that there is some skill involved in finding the right rubber to suit certain blades. So this section also includes advise and information about custom table tennis bats, and which combinations work particularly well.